▷ Best Pink Highlights 2019 ¡Photo ideas & step by step! When we talk about trends there are many options and if we talk about hair color the style makes a huge difference in you. 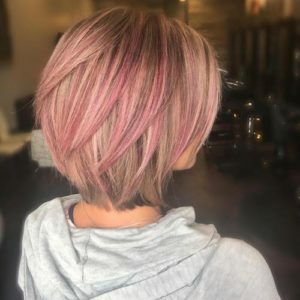 The pink highlights have been pioneers in 2017, being the desire of most girls and in 2018 this trend hasn’t change, many of us have the desire to dye our hair pink and let me tell you, It´s a little daring to really do it. But when we talk about pink highlights we must bear in mind that there are different types of pink highlights and textures. These are the most demanded worldwide. The Highlights or pink highlights are an extremely popular and versatile trend, you can take them in their original version and light up your face with a perfect gradient, or if you are more daring you can add a fantasy color tone and highlight by the originality of your hair. One of the most adorable and feminine forms of this style is to wear the Californian with a pink tone, giving your hairstyle joy and sweetness. We note that many of our favorite celebrities wear pink highlights some of them are Katy Perry, very famous for her rainbow hair, Hilary Duff, Rihanna, Ellie Goulding, Vanessa Hudgens, Nicole Richie, Haylay Williams, Bella Turne, Sophie Turner, Kyley and Kendall Jenner, Gwen Stephani, Miley Cyrus, Shakira and a bunch of other celebrities, yes! I know It is exciting and you want to try and dare this look, but, it is necessary to mention that they require a lot of care and maintenance. 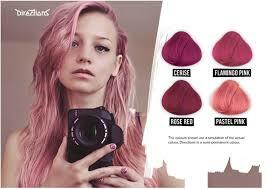 There are many types of pink highlights, from Californian in pink, to complete in a very pronounced shade of pink. The fact of including pink highlights in our look will make us look younger, fresher and great with any type of haircut. 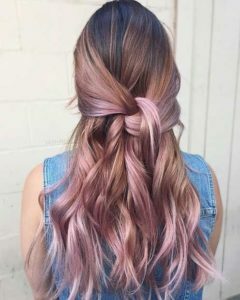 The pink highlights are ideal to highlight both brown hair and blond hair. It does not matter if we are tanned or if we have pale skin, this tonality of hair has been globalized to fit all girls as well as silver or grey highlights in many women. 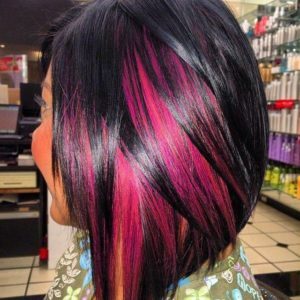 These pink highlights are great in all types of hair. Whether you have a short hair, long or medium hair, the pink highlights will give a special life to your look. These types of highlights are more suitable for blond hair, brown or with light tones. 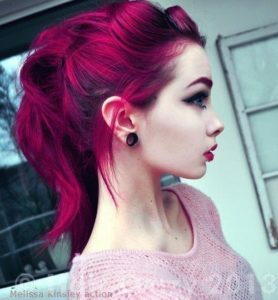 In dark or black hair the pink highlights are not entirely in agreement, because It´s harder to blend both colors, If you want this look my advice for you if you have black hair is to dye your entire hair brown to combine it better. 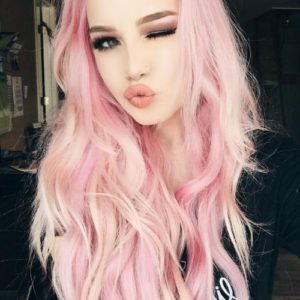 Blonde hair with pink highlights are good choice for your hair tone, this highlights are going to make you look dreamy and edgy, they are not so difficult to wear and you are going to have fun with them, and the best thing about it, It´s that they don´t last for too long and you can try with different hair color. If you have Brown hair, this is another comfortable choice, because your hair will look like it´s melting with these beautiful highlights. Doesn’t matter if you are trying a long or short hair style, you will rock it in both styles. I´m sorry my dear, but in your case you will have to change your color base to match with this pink highlights, if you want something pretty and feminine you will have to make the effort, or try better with Ash Highlights!. A pastel pink hair color would look stunning for long, straight and thin hair. 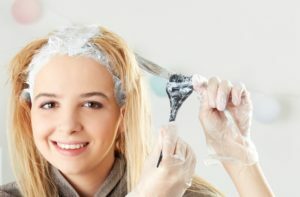 Hair with less or without volume work better with lighter hair colors because thin hair is easier and faster to bleach. 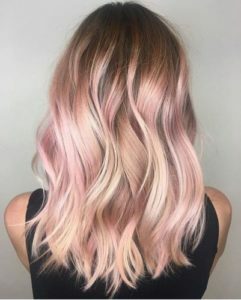 Going with a pastel pink color makes this hairstyle a bit more delicate to complement the look and you will be very edgy for those daring meetings. 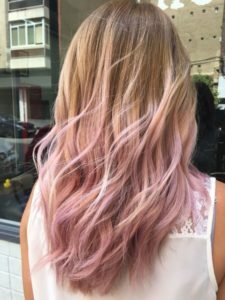 If pastel pink is too bright for your style, and you want something a little more subtle or sweet, check out a dusty pink hair color. They are more conservative and work fine for a casual office setting. 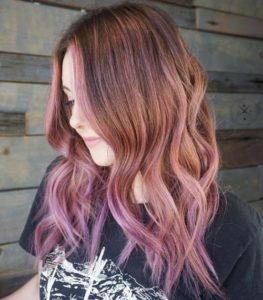 Pairing a dusty pink ombre and balayage will make you conquer with your long or short hair, and they give you a wonderful highlight to natural brown hair. Dark brown undertones with rose gold and blond tips add a flourish to your hairstyle. Perfect for the sunny days in summer and it will match with your iPhone. If you’re going out at night and you want people to recognize you real fast, use this color, if you feel attracted by this tendency is because you are a really daring woman and that´s why I support you, because you will really hit it with this look and only you can. But, this is a weapon, you will have to be an slave of your colorist, fantasy colors don’t last for too long, so you will have to visit your salon often to cover those roots, but, let me tell you, try it, dare you to do it if you can, you are reading about this for some reason, and the reason is that you fell hard for this look. This option is a bit more delicate, since if the results are not as expected, you have to wait 15 days to be able to re-dye your hair. 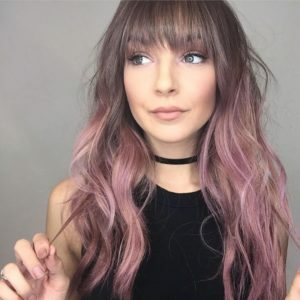 There are two ways to achieve this look by bleaching hair: By yourself: The process is very simple, and basically the same as for all pink highlights. 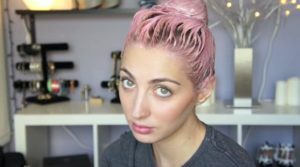 The first thing you should do is bleach your hair in a gradient that goes from your cheekbones or chin to the tips, according to how pink you want your hair the discoloration should be to a greater or lesser degree. Once you have obtained the discoloration you have to apply the fantasy dye, in the same way you would apply any other dye. The greater the amount of dye you apply and the longer you let it act on your hair the more intense the color will be. 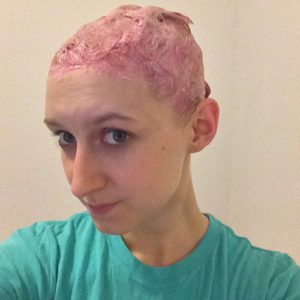 If you want a soft pink you should not exceed 20 minutes, while if you want to have an intense fuchsia color it is best to leave it for about 45 minutes. The dye mark you buy will also influence the tone, make sure you get a good quality dye, if you do not know which brand is the best check it with your trusty stylist or with the distributor. Once applied the fantasy dye your hair will take the color you want. To dye them you will Mix the oxygenated water with the bleaching powder, keep in mind that if your hair is dark you must use oxygenated water number 40, and if it is clear you can do it with a 30. With a knitting needle start to pull your hair through the holes of the hat, in the density of your preference. Once you have the number of strands you want, apply the bleach with the dye brush. Wait for the time indicated on the packaging of the bleaching powder and rinse your hair with Shampoo without removing the cap. When there is no trace of the bleach, apply heat with the hair dryer to remove moisture. Then prepare the pink color, according to the instructions in the box. Apply the dye to your hair, respecting the time limit indicated on the package. Once the time has passed wash your hair with Shampoo and remove the hat. 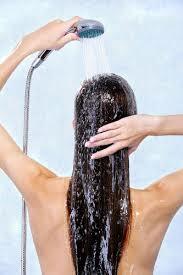 Now wash your hair completely with Shampoo again and a lot of conditioner. And then you can show off some pink highlight impact to your friends at school or at work. If you never have dyed your hair, go to a professional, don´t experiment with your hair because you will be sorry. In my opinion, this is the best option that may be a bit more expensive than the previous options, but it is the most viable. 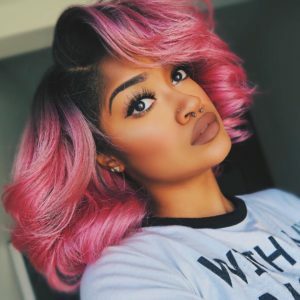 A professional stylist has the necessary knowledge to perform this procedure without having to mistreat your hair; it will advise you as to the tone of pink wicks that is most suitable for your skin tone. In addition, it will hydrate you once the procedure is finished, to restore the hair cuticle and avoid long-term damage. 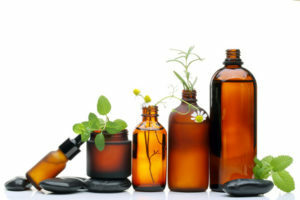 First of all you should look for the most natural Shampoo on the market, which does not contain salt or strong chemicals. 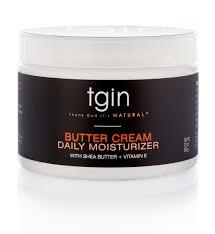 This will help you to use large amounts of conditioner, which is what you really need to hydrate your hair. Secondly, you can try applying coconut oil once a week and letting the tips work for about ten minutes, once the time has elapsed, rinse with warm water. Third, do not wash your hair every day, this will make the color of your hair fall faster and you should touch it. Try to dry and iron your hair, this will help you stay more time clean and do not have to wash it so often, for my part, it works for me. 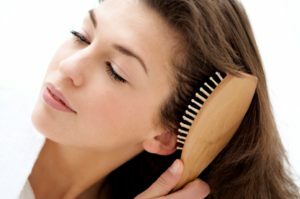 You should also brush your hair daily; this practice stimulates the cuticle, helping it to regenerate faster and to grow the hair. If your scalp is oily, try using dry shampoo, spray and reduce the fat to a great extent. This is another important point, when you apply fancy colors to your hair you must understand that you will need periodic maintenance to maintain the tone you want. The lighter the final tone of your coloration, the faster it will lose the dye. If you are one of the girls who wash their hair every day after two weeks, you will have to touch it up, whereas if you only wash your hair every three or four days, the coloring could last up to four weeks. Fantasy dyes are not as abrasive as common color dyes, for that reason they fall so fast, and also thanks to that you can color your hair constantly without significant damage. However you should be aware that although the dye does not damage the hair the discoloration to which you submit it can have negative effects on your hair. 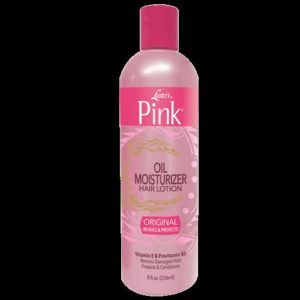 Therefore, we recommend that in addition to constant coloring, apply to your hair moisturizing masks and natural oils, which will keep you healthy and help you close the pores, which in turn will facilitate the permanence of color in the hair fiber. It also uses special products for dyed hair, because the components that repair the hair, and also nourish it with special chemicals that help it absorb the color and keep it. 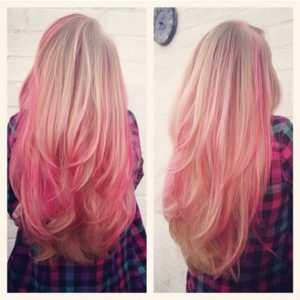 Following those tips, your hair will be nourished and bright with beautiful pink Highlights. 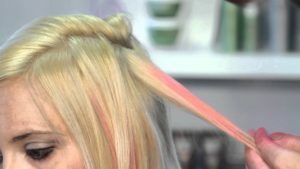 These procedures can damage your hair, making it dry and lifeless, especially because these pink highlights have to be retouched more frequently than the rest. Three months with this look is enough to not cause irreversible damage to your hair. Follow the advice I share here and recognize when the limit of your hair. In conclusion, having pink highlights involves sacrifices, but they are worth it, since this change of image will make you look younger, fashionable and you will be the envy of your friends, combine your hair with a sweet and nocturnal attire and attend that party that you have waited so long, surprise everyone and most importantly, feel at ease with yourself in the way you are. 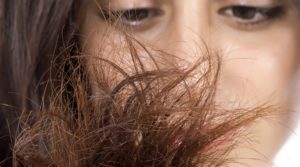 If you liked this article, don’t be shy and share it with your friends at your social networks to let them know how to treat their hair with kindness and trust me, they will thank you very much for such piece of advice that I am giving you! Or you can just make a comment down below.